Journalist Bill Moyers, who worked as an assistant to President Lyndon Johnson, shared memories in a column last year about how his old boss thought about our entitlement programs. 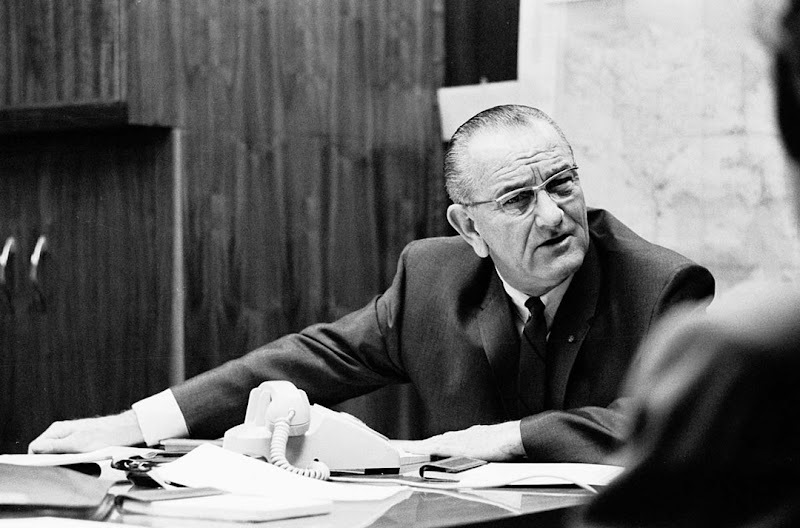 It was under Johnson, who championed the "Great Society" in the 1960s, that a good portion of the runaway government spending we are trying to get under control today originated. Johnson signed into law Medicare, Medicaid, the War on Poverty programs, and the Corporation for Public Broadcasting. Moyers recounted that for Johnson, Social Security and Medicare "were about a lot more than economics." "My inclination would be ... that it ought be retroactive as far back as you can get it ... because none of them ever get enough. That they are entitled to it. That's an obligation of ours. It's just like your mother writing you and saying she wants $20, and I always sent mine $100 when she did. I always did it because I thought she was entitled to it. ... We do know that it affects the economy. But that's not the basis to go to the Hill, or the justification. We've got to say that by God you can't treat grandma this way. She's entitled to it and we promised it to her." I don't think we could have a clearer picture of Johnson's muddled thinking about his job and the role of government, which contributed so much to the problems we have today. Johnson's words sound so wonderfully compassionate. But let's get things in perspective. He saw no difference in his relationship and responsibilities toward his own mother, and sending her his own money, and his responsibilities as president of the United States and the relationship of government to citizens. There is a world of difference between the appropriate responsibility of parents toward their children and children toward their parents, and politicians deciding on how to spend someone else's money for someone else's children, parents or grandparents. Johnson didn't seem to grasp, or care, about the fact that family and government are two entirely different social institutions that serve very different purposes. So the Johnson administration years marked not just the beginning of many huge government programs that we can't pay for today, but they also marked a major cultural change where government began displacing family and personal responsibility. In 1960, 72 percent of American adults were married. By 2010, this was down to 51 percent. The change is most pronounced among two of today's largest Democratic Party constituencies: youths and blacks. In 1960, 45 percent of Americans between the ages of 18 and 24 were married compared to 9 percent today. In 1960, 61 percent of black adults were married, compared to 31 percent today. Means testing, targeted tax increases on the wealthy, raising the retirement age -- all proposed ways to keep Social Security, Medicare and Medicaid going as they are -- all simply grow the American welfare state, increase dependence of working Americans on government and other taxpayers, and displace family and traditional values with socialism. This is why Democratic leaders are not stressed out by the entitlements crisis facing us. More socialism in America is what they want. They are not bothered that slow growth and high unemployment go hand in hand with this socialism. Republicans won't succeed as an opposition party if they keep tiptoeing around the fact that facing America today is a crisis of vision and values. They need to stop selling the alternative to welfare as unpleasantness and spending cuts. They need to start selling that restored prosperity will only come with a rebirth of American freedom and the values that go with it.